Add a dental logo to your masthead so your practice stands out from the crowd. Allow our graphic designers to customize your favorite practice logo from our design gallery to match your website colors and create a visual shorthand to attract the types of dental patients you enjoy serving. These dental logos offer a unique expression at a fraction of the cost of working with a local designer. A high-resolution version is also available for your business cards, brochures and signage at no extra cost. We charge a fixed fee (prices below) and offer 10% off if you sign up for Smile Marketing's website service. If your website isn't converting new patients, you might have a design problem. While you are here, get a free no-obligation review of your website and receive an objective analysis of your current practice website and strategy. 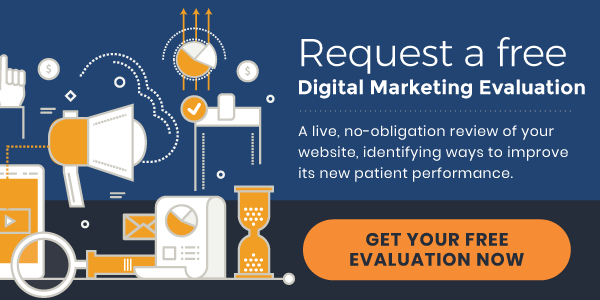 Just give us your URL and we'll send you a detailed report that contains actionable tips on how to boost your new patient performance.